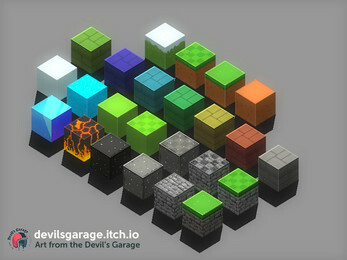 The Devil's Work.shop 20+ piece Essential 3D Block Pack, with over 100 files is a work in progress game asset pack. By the end of this asset development, this pack will grow in size and that can be used to create a rapid prototype or a finished game. All these game assets have been textured, UV mapped, and unwrapped. The mesh and texture (after compression) are very small. The asset can be easily imported into Unity or an open-source game engine like Superpowers. 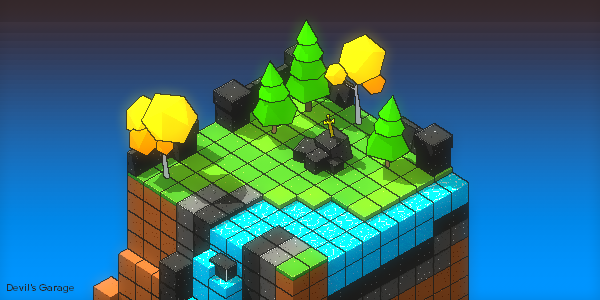 Note: The Island image contains assets from this Low Poly 3D Block pack and the Low Poly Forest Pack. If you enjoy this asset pack, please rate it!